Newspaper Rock: Canadian museum won't use "genocide"
Aboriginal leaders seek ‘genocide’ designation for past injustices by Canadian governmentThe debate over whether or not the word “genocide” should be used to describe the federal government’s treatment of aboriginal people is heating up in Winnipeg. The yet-to-open Canadian Museum for Human Rights is embroiled in a controversy over how they will represent Canada’s past treatment of aboriginal people. Fred Kelly is a residential school survivor and is among a group of First Nations people who believe the residential school system and other similar atrocities should be referred to as genocide. Kelly survived the residential school system and nutritional experiments conducted on aboriginal people without their knowledge in the 1940s and 1950s in Canada. “That is genocide. That was an attempt at extermination based on hatred, based on racism, based on all of these negative factors that human beings exercise on other human beings,” said Kelly. But the Canadian Museum for Human Rights says it’s not in a position to determine what constitutes a genocide and it doesn’t plan to use the term to title the exhibit. “We are not a court. We are not an academic institution. We rely on those sources for information to inform our exhibits,” said Angela Cassie, a spokesperson for the museum. By Andy RadiaThe decision is not sitting well with academics and First Nation leaders who strongly feel that federal policies such as the residential school system and the forced relocation of thousands of aboriginals should be considered genocide. "It's a shame. 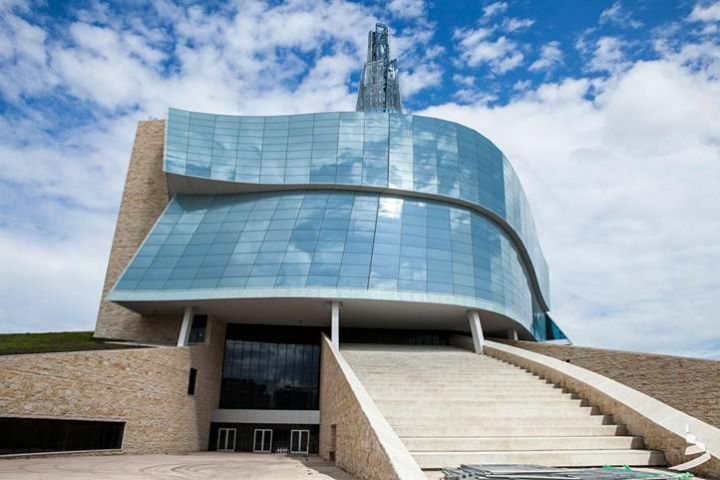 I think the museum needs to be a leader, not a follower on this," University of Manitoba Proffesor Adam Muller, a genocide expert, told the Free Press. "You look at colonial activity in the Americas and it seems clear to me, at the end of the day, they were trying to destroy a group and way of life." Pam Palmater, a Mi'kmaq lawyer and Chair of the Centre for Indigenous Governance at Ryerson University, argues the credibility of the museum is at stake here. "I don’t think there is much point in having a “museum” if it is a political museum which only presents the censored pictures, displays, histories and terminology that is government approved. This is more like an international propaganda machine than a legitimate museum. Canada is supposed to be a “liberal democracy” not the dictatorship Prime Minister Harper has turned it into," she told Yahoo! Canada News in an email exchange.Versus:Ernie Crey, however, disagrees. The policy adviser for the Stó:lō Tribal Council doesn't dispute the many failed government policies of the past but suggests the term genocide isn't accurate because, for most people, it means the utter destruction of a people. "I am hard pressed to point to one such case [in Canada]. It would be far easier to point to genocidal policies towards Indians in the U.S., Central and South America," Crey told Yahoo! Canada News, adding that the term 'genocide' doesn't help First Nations move forward today. "In the Canadian context, one might more accurately speak of 'cultural genocide', as opposed to the annihilation of a people. But even here, we must be ever aware of the context in which government and church groups sought to transform traditional Aboriginal societies into something more closely resembling Euro-Canadian societies. "And many Aboriginal people overlook the fact that both church and government inoculated Aboriginal people against a host of communicable diseases like smallpox, measles and so forth. Hardly the actions of people intent on genocide." Comment: The second article explains that genocide means more than "the utter destruction of a people," Mr. Crey. Maybe a truth-seeking museum should report what the word actually means, not what people think it means. For more on genocide denial, see Genocide Denial in Guatemala and Sand Creek Called "Collision of Cultures."